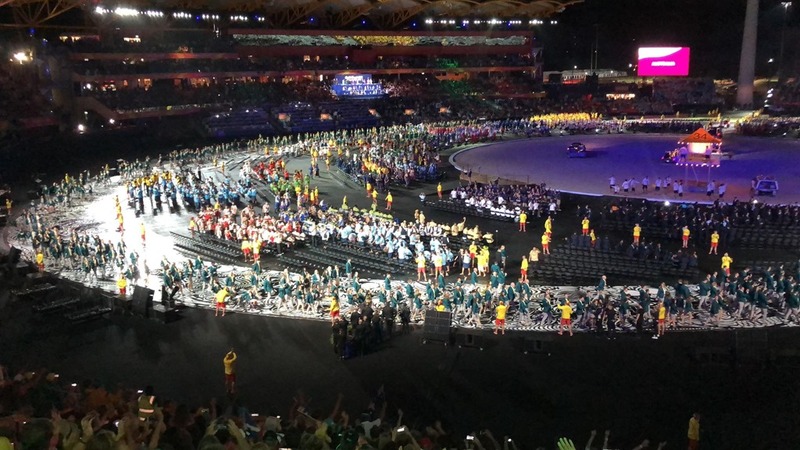 Home › Australian › My Thoughts On The Opening Ceremony Of The Commonwealth Games. My Thoughts On The Opening Ceremony Of The Commonwealth Games. 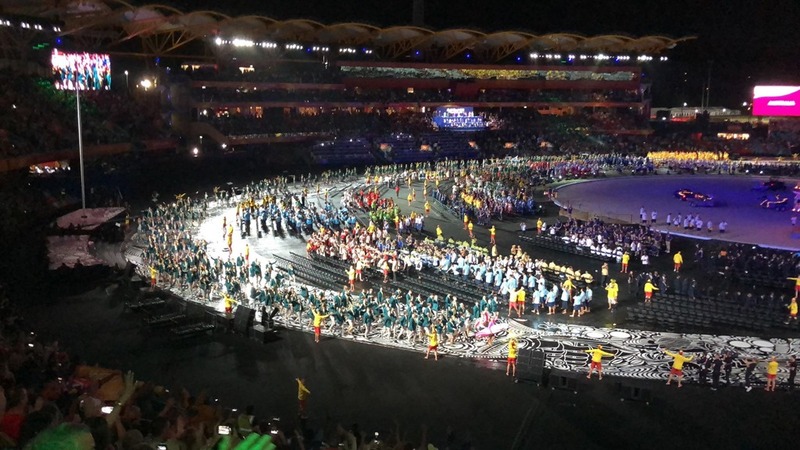 I attended the Opening of the Commonwealth Games last night. First up let me say how pumped I was to have been there and to have witnessed an historic event. I loved seeing all the volunteers and hats off to all the people involved in acting in the main arena. Also a big shoutout to the police who were out in force keeping the public safe. I don’t want to be negative on the event but I have to say the whole event was underwhelming. There were no wow moments at all. It really did feel that the crowd weren’t really connected into what was happening on the main stage. The crowd looked bored. I think the most I saw the crowd engage was when they stood for the National Anthem….which was awesome. With 15 minutes to go a huge number of people started to leave….this in itself is a very telling action. Here is a pic of people leaving before the Ceremony finished. I was disappointed that the only two things that were featured were our Indigenous Heritage and Lifesavers. There is so much more to the Gold Coast and Australia that could have been added with these two things. What about our Schools and Universities, our Natural Beauty, the Charities and Volunteers that serve Aussies, our Defence Forces and many other things that could have been featured. I would have liked to see our multiculturalism celebrated. I was also disappointed at the choice of music….Men at Work’s Down Under, I still Call Australia Home, My Island Home, and John Farnhams’ You’re the Voice…..Clearly we have produced no new music in over 30 years. The whole thing was just very stereotypical. Unless you paid $20 for a program, you really didn’t know what was going in the centre of the arena. Having a dynamic MC talking things through from time to time would have increased the crowd engagement. Even adding a few sentences about each nation as they came out….Seriously some of the countries that were announced, I had never heard of them. It would have been great to announce Antigua and Barbuda….then say this country is in Africa and has a population of 2 million and has participated in the last 14 Commonwealth Games….they have 67 athletes here at the Gold Coast. Bang….we are now more engaged. Every country walked out with their country’s flag at the front but Australia didn’t….Now in fairness people on social media are saying that the flag bearer was at the front of the team as they entered the stadium and slowly moved to the back, But from my perspective….by the time the team got half way around the stadium…there was no Aussie Flag in sight…..I think this is poor form. See the pic of the Aussie team below. 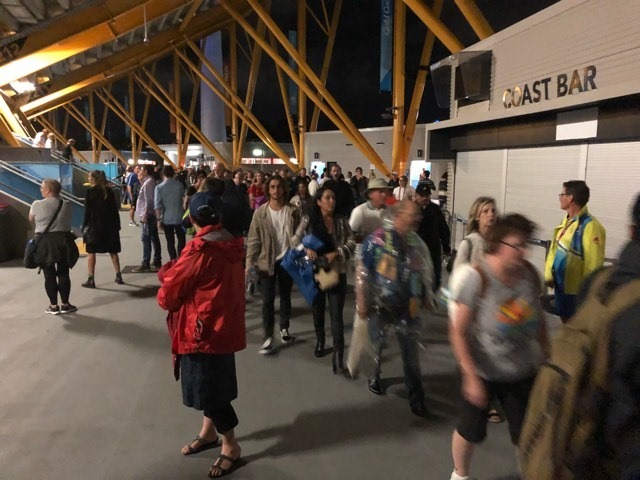 Unrelated to the actual show, but still part of the experience….the food stores at the stadium ran out of food…before the show actually started….This is crazy….Did they not expected the crowds???? So there are my thoughts. Again I was very happy to be there and to be part of the event….but disappointed at the actual show. ‹ This Weekend Marks 20 Years Of The Pilt Family Being Part of The International Network of Churches Movement. I saw the Monday night dress rehearsal and it was so boring. You could see from the screens that the whole thing had been designed for television. I felt like the crowds were just a prop to make people ‘wish they were there’, but honestly it was better to watch it at home. Also, ‘The Divinals – I touch myself’?!! WHAT?!! You make me feel so much better I never paid the $500 for a ticket! I think what you witnessed was the end result of a socialist government, embroiled in appeasement and political correctness. To them, white Australia does not have an identity or distinctive culture and must live in shame and perpetual apology. Our flag they find offensive, particularly the Union Jack part of it. The trend in Australian politics is to yield to everything and everyone and uphold the U. N. dictates. It is time to have unapologetic Australians at the helm again. O yes Alan Jones! You are right on the money! Also the commentators (channel 7) would speak over the stadium announcer, they would Cut to breaks randomly. These announcers did mention how many athletes for the smaller countries and would pick just 1 athlete from the bigger countries and speak about them……. it did just seem like Chatter, not prepared, just random. The Aussie flag bearer started at a good pace, but other excited athletes surged forward and he got lost amongst them! They ran that like they run our country. Messed up. That’s my thought anyway. 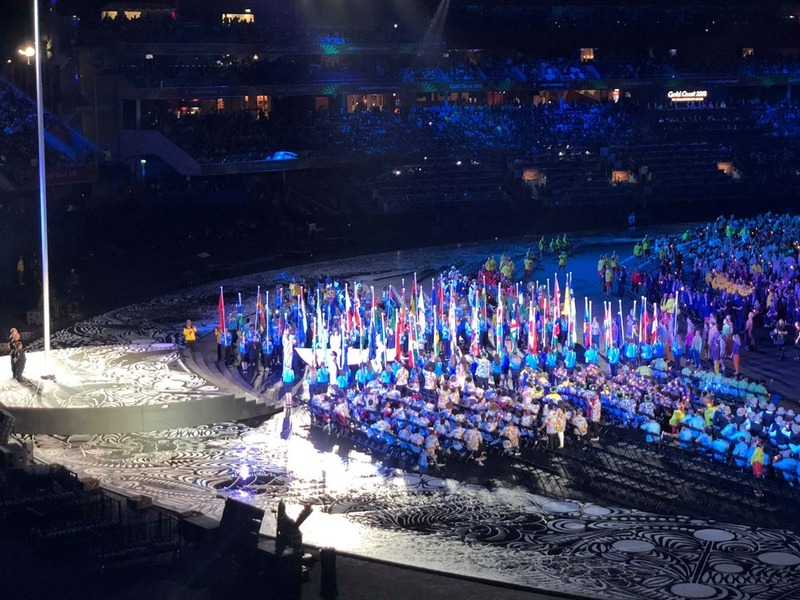 The Games have also been politicised, with organisers openly supporting the Women of the World Fest in Brisbane and declaring the games “gender neutral” and telling volunteers to use gender-neutral language. A lot of people didn’t appreciate that. It has been the norm for recent Olympic and Commonwealth Games to push the “globalist” ideology which is strong on feminism and environmentalism. You might have also noticed the “all-seeing eye” symbolism in the show, which of course relates to the “spiritual side” of the globalist ideology.